Hunger is at the heart of extreme poverty. The importance of this relationship was stressed in the first Millennium Development Goal (MDG): “Eradicate extreme poverty and hunger”. The specific target was to “halve, between 1990 and 2015, the proportion of people who suffer from hunger” (with hunger measured by the country average of how many calories each person had access to on a daily basis, as well as the number of underweight children below the age of five). The emphasis of this MDG was placed, first and foremost, on increasing the amount of food available. 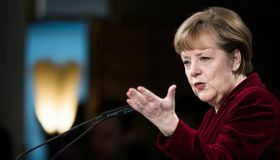 While progress was made, efforts to achieve the target faced many obstacles: extreme weather events and natural disasters, volatile commodity prices, higher food and energy prices, economic recession, and more. And in too many countries, these obstacles were aggravated by conflict and political instability. The focus on agricultural intensification inevitably had its trade-offs, in terms of water use, land use, and environmental degradation. Globally, since 1950 the amount of land being artificially irrigated has more than doubled, and the amounts of fertiliser and nitrogen being used have grown by five times and eight times, respectively. All of this has led to increased greenhouse gas emissions; degraded land, water, and air quality; and increased water scarcity and water-induced conflicts. These challenges, and a continuing concern that food production may not be able to sustain the growing global population, have informed the approach of the Sustainable Development Goals (SDGs). The focus of the SDGs is not only on the end goal, but also on the means employed to achieve it. Hence, the emphasis is on sustainability. Over the course of the MDG experiences, strategies and approaches evolved . Within the post-2015 development agenda, hunger and food are addressed in SDG #2: “End hunger, achieve food security and improved nutrition, and promote sustainable agriculture”. This goal and its targets show a greater recognition that ending hunger “sustainably” means looking at agro-ecosystems in a larger context. The key, however, will be to properly understand the linkages and interconnectedness not only between hunger, food security, nutrition, and agriculture, but also the relevance of agricultural production practices and food systems for the development agenda as a whole. In this regard, a “nexus approach” — the conceptual framework designed by UNU-FLORES — is required. It is evident that SDG #2 and its targets cannot be looked at in isolation, as they are inherently connected to almost all the other goals. 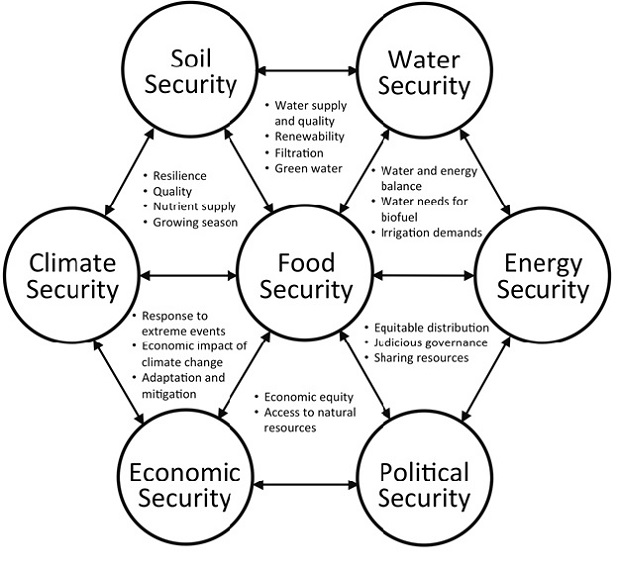 For example, food security strongly depends on soil security (quality, resilience: goal #15), water security (renewability, availability, quality: goal #6), energy security (supply, price, dependability: goal #7), climate security (optimal temperature and moisture regimes, and a low frequency of extreme events: goal #13), and economic security (income and access to resources: goals #8 and #9), as well as consumption patterns (goal #12); gender equality (goal #5); and political stability (peace and harmony: goal #16). 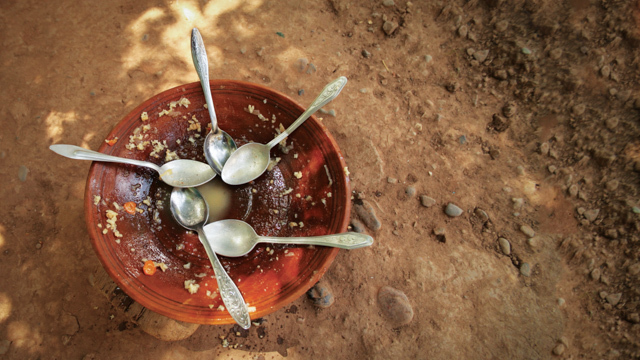 The UNU-FLORES White Book Advancing a Nexus Approach to the Sustainable Management of Water, Soil and Waste illustrates the interconnectedness of food systems, ecosystems, social systems, and economic systems. (See figure 1.) This perspective makes it clear that achieving food security and sustainable agriculture will directly benefit human health (goal #3), education (goal #4), gender equality (goal #5) and marine systems (goal #14). This list of relationships between goal #2 and the other SDGs demonstrates the fundamental role of food security and agricultural practices within the wider psot-2015 development agenda. In other words, developing effective, efficient, and sustainable strategies to achieve goal #2 will be key to achieving the sustainable development goals in general. The good news is that food security can in theory be achieved for a growing population with limited resources, and without further degrading land ecosystems or transforming forests into agricultural land. However, world leaders need to understand that resources such as water and soil (as well as waste products) are the foundations of food security. Sustainable agriculture relies on the availability and quality of soil resources, and how these are interrelated with water resources, vegetation (crop species) and “waste”. The need to conserve and improve soil fertility critically depends on the appropriate use of organic waste, manure, and wastewater. 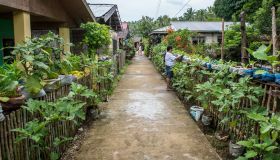 Achieving goal #2 — and with it, many of the other SDGs —– will therefore require further development and implementation of agricultural practices that can appropriately manage the interplay between these resources: the water–soil–waste nexus. 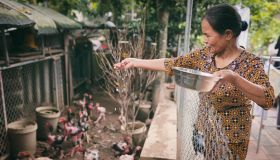 Taking Hunger Out of the Poverty Equation by Rachel Shindelar is licensed under a Creative Commons Attribution-NonCommercial-ShareAlike 4.0 International License.